The Russian Su-24 military aircraft that crashed in Syria earlier in the day was downed by an air-to-air missile from a Turkish plane, Russia's President Vladimir Putin said Monday. The attack on Russia's Su-24 jet is a "stab in the back", the president said. Vladimir Putin stressed that Russian pilots were in no way a threat to Turkey. "This is an obvious fact." "This event goes beyond the fight against terrorism. Of course, our servicemen are engaged in a heroic struggle against terrorism, not sparing themselves or their own lives. But today's loss is related to a stab in the back, carried out against us by accomplices of terrorists. I cannot otherwise describe what happened today," Putin said at a meeting with Jordan's King Abdullah II. According to the Russian leader, the aircraft was around a kilometer (0.6 miles) from Turkey when it was hit. 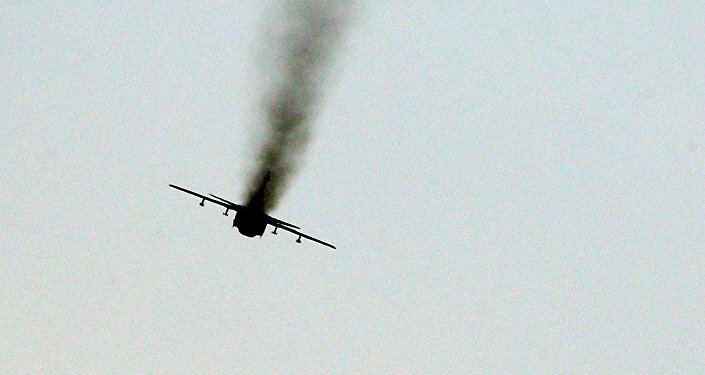 "Our aircraft was shot down over Syrian territory by an air-to-air missile from a Turkish F-16. It fell on Syrian territory, four kilometers from the border with Turkey. When attacked in the air, it was flying at an altitude of 6,000 meters, one kilometer away from Turkish territory," Putin said. Russia and Jordan must join efforts in the fight against terrorism, Vladimir Putin said, adding that the military and special forces are already working in that direction. "We are in constant contact <…> Today, when such a serious fight against international terrorism is going on, we must join forces, this is obvious. I’m very pleased that our military and special forces are working in this direction," Putin said during a meeting with Jordanian King Abdullah II in Sochi. Earlier Tuesday reports came in that the Russian Su-24 jet crashed in Syria. It was most likely downed by a ground missile, according to the Russian Defense Ministry's statement.